Our speciale “Security Health Check Inspector” is a toolset that in real-time shows you what suspicious activities are currently taking place in your environment. By focussing on Behaviour Analysis of files (via sandboxing, behaviour monitoring) and network/protocol usage, we can easily pinpoint to the source of a cyber-attack, map the impact of the threat. Using this info to provide an effective remediation. Which vulnerabilities/malwares and protocols are currently being active in your IT-environment. This for both managed as unmanaged devices included. Identify C&C IP’s and URLs. 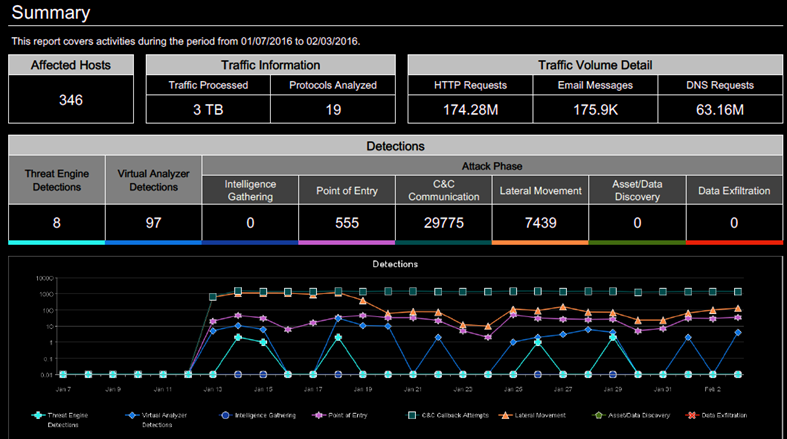 Detect any possible data exfiltration. Our higly qualified Security Consultants and Ethical Hackers provide the necessary knowledge to help you improving and upgrading your IT Security environment in an efficient way.